Roundup This week Rocket Labs launched six satellites into the nether, the British team on ESA’s ExoMars mission had a think about where to land their rover on the red planet in 2021, and Japan helped successfully scrap a load of space crap. 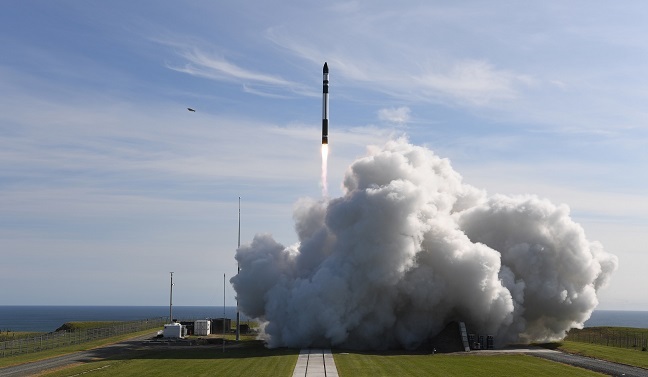 The world has yet another way of sending satellites into space as Rocket Labs declared its launcher operational following a second successful lift-off on Sunday from New Zealand’s Māhia Peninsula at 03:50 UTC. The missions has been called “It’s Business Time”. Seven payloads went up on the Electron, with the second stage of the booster reaching orbit before the Curie kick stage separated and released six satellites. The seventh payload was NABEO-1, which remained attached to the kick stage. The cubesat-sized box (10cm x 10cm x 10cm) will deploy a 2.5m x 2.5m dragsail, which engineers plan to track via telescopes on Earth. Boffins hope to be able to monitor the de-orbiting of the kick stage and use the data for follow-up missions, aimed at bringing down larger 100-500kg satellites. A method of getting rid of orbital debris would be handy since Rocket Labs plans to get to a cadence of 120 launches a year, each carrying a potential 225kg of payload. Of course, first it has to get its next mission off the pad – NASA’s ELaNa project – in December. While New Zealand was waiting for the third Electron launch, Brit boffins had their eyes on a loftier goal: where to land the ExoMars rover in 2021. The European trundlebot will be fitted with a drill capable of penetrating two metres into the surface of the red planet in search of signs of life. The scientists have spent four years studying imagery from HiRISE (attached to NASA’s Mars Reconnaissance Orbiter) and CaSSIS (on ESA’s ExoMars Trace Gas Orbiter) and selected Oxia Planum on Mars as somewhere that the rover can both be landed safely and use its drill while also ticking the necessary scientific boxes thanks to the likelihood of sediments in the area preserving evidence of life. The UK has invested €287m in the mission and £14m on the instruments alone. As such the Brits hope their recommendation, which came at the end of two days of meetings at the UK’s National Space Centre in Leicester, will be looked upon favourably by ESA and Roscosmos prior to a final decision being announced next year. After 41 days attached to the International Space Station (ISS), Japan’s HTV-7 cargo freighter was loaded with garbage, detached from the ISS and sent to a fiery end over the Pacific Ocean. HTV-7 had remained in orbit for a few days after leaving the ISS before executing a sequence of engine burns to send the spacecraft to its doom. The mission had been heaviest to date for the HTV, lugging up 6.2 tons of cargo including some equipment racks and batteries. Extravehicular activities to install the batteries have been postponed owing to one of the spacewalkers being unexpectedly detained on Earth thanks to October’s Soyuz mishap. Of great interest to the scientific community is the HTV Small Re-entry Capsule (HSRC), which promises an additional way to get samples back from the ISS as well as SpaceX’s Dragon and whatever can be shoehorned between ‘nauts on a returning Soyuz. Getting things back from the ISS has been a challenge following the retirement of the Shuttle and JAXA has been seeking some modicum of independence. The HSRC is attached to the hatch of the HTV and is released after the freighter’s de-orbit burn. After re-entry, the HSRC descends to the ocean beneath a parachute and will be recovered.